Tim Holtz Idea-ology RING FASTENERS TH93060 at Simon Says STAMP! TH93060 /0.4 This item is on reserve until If you would like to reserve this item now, you may purchase it now with the rest of your order. We will hold your order now and ship your entire order as soon as this item is back into stock. If you would like your order to ship now, please place this item on a separate order. 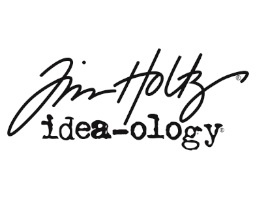 Success, Tim Holtz Idea-ology RING FASTENERS TH93060 has been shared! 9 fasteners in 3 finishes. Another great fastener with versatile function are the new ring fasteners. These are small fluted top fasteners with a jump ring through them. These are great for hanging elements on your project or use them as little pulls for openings and pull outs on your projects. This 2.75 x 4.25 inch package contains nine fasteners.